Eleanor (Awalt) (DHS ’47) and Leonard Stickland (DHS ’47) celebrated three milestones this past year. On October 3, 2018 Leonard celebrated his 90th birthday. On December 18, 2018 Leonard and Eleanor celebrated their 70th wedding anniversary and on January 22, 2019 Eleanor turned 90. After living in Arizona and then on Lake Metigoshe, they have returned to Mandan, ND. Eleanor and Leonard, Wonderful wonderful for achieving these milestones in life. You are model folks for the rest of us to follow. Congratulations. 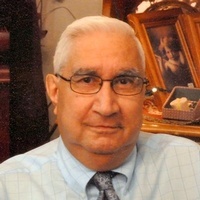 Clifford S Allery, age 74 of Rolette, died Tuesday at a Belcourt hospital. His funeral will be held on Tuesday at 10:00 am at the St. Michael’s Catholic Church in Dunseith. Wake will be on Monday beginning at 3:00 pm with a service at 7:00 pm at the Eagle Heart Cultural Center in Dunseith. Burial will be at the St. Mary’s Catholic Church near Dunseith. Clifford Allery, a son of Frank and Ernestine Allery, was born on December 14, 1944. Clifford’s Life began in Belcourt and he moved with his family at a young age to Williston. There he attended St. Joseph’s Catholic School and Williston Junior High. He returned to Dunseith where he graduated from high school in 1963. He then moved to San Jose, CA to further his education. He returned to North Dakota and attended Lake Region College in Devils Lake. He then began his career with the BIA. He was the Enrollment Specialist both in Belcourt and Aberdeen, SD. He later worked at the Circle of Nations in Wahpeton as a finance officer. Clifford loved life. He enjoyed laughing and joking with his family and friends. His preference in music was classical and opera. He enjoyed traveling and no matter where he went he immediately made friends. He enjoyed playing cards with family and friends. Clifford had a kidney transplant in 2012. He was diagnosed with lung cancer on December 22, 2018 and he returned to Dunseith. He got called home on January 22, 2019. He is survived by his brothers, Hubert, Richard and Dallas; sisters, Beatrice Raygo, Judy Azure and Jeanette DeCoteau, numerous nieces, nephews, and great and great- great nieces and nephews. In addition to his parents, he was preceded in death by a brother, Francis (Sonny) and sisters, Jean Natwick and Darlene DeCoteau. Clifford’s family would like to express a heartfelt thank you to all family and friends for supporting them during this sorrowful time. They would like to extend an invite for a meal of celebration at the Eagle Heart Cultural Center following the service. Arrangements were with Nero Funeral Home in Bottineau. I continue to have an inquiring mind. Today I while reading Saskatchewan news. Hmm.. “big money harvesting “chaga”. Not a clue? Searchedit out. Holy buckets! ! I could have harvested chaga, paid my way thru many years of college and traveled many times around the world. I walked by many birch trees with chaga, growing on the farm. Andm I could have used the word___CHAGA__ playing SCRABBLE with paternal aunts: Leona and Jean who were SCRABBLE wizards. Hmmm, I wonder if beavers gnawed on chaga to gain gnaw-ledge……..
whoops_____Sorry friends must be the frigid ND polar cold has begun affecting my mind. Then again, the beautiful SunDogs last week were quite real! Question/Reply from Larry Liere (55): Devils Lake, ND & Mesa, AZ. Did anyone ever send in a picture of the 1955 team? If they have I sure would like to get a copy of that with names! The Cheerleaders picture from those years would also be fun to see. I do not have Barry Shelver’s address and would like to try to E-mail him. Janice I think you sent him my address but he never replied. Hope he isn’t mad at me for leaving Dunseith. In the picture below I think Barry is starting to look like his dad. Another small world story I have is Barry’s brother’s son and my son went into active duty together with the North Dakota Army National Guard. The bad news is my son Patrick got cancer and passed away when he was 23 and a senior in college at UND Grand Forks,ND. I have asked for a read receipt because I lost my address book when I started sending from Mesa,AZ and my back-up address book is not working correctly. I’m in a similar boat with Ron Longie. Alaina is in school until the second week in June, is taking a college class during the summer and has a week of band camp before the MI cherry Festival. This is the 43rd year the school band has marched in that parade. Nathan, Kristina and new Grandson Landon plan to be in ND in August. 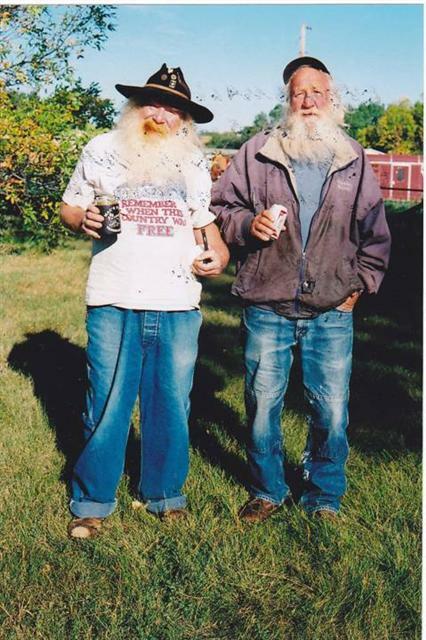 They live in Delta Junction, Alaska. Nathan is in Homeland Security. (something about shooting down whatever N. Korea shoots up—-) We are trying to see if they can come to MI- Nathan has not been to the home we built in 2005– SOOO, If I get to ND at all, it will be in August—and I’ll miss the Richard reunion as well. I’m sad about that. Many of the cousins from those branches of the tree I’ve not seen in well over 20-30 years. To everyone that can make it—Have one to toast/curse me! These two guys were outstanding members of the 1950 and 1951 DHS football team….They are having a couple of soda pops to help remember old time..
Folks, Yesterday Bernadette found this clipping, in an envelope with other clippings, when she was digging thru some old papers. Kenny, I believe you were in Viet Nam from Late 1968 thru most of 1969. We completed basic together in August 1968. From there I believe you went to Fort Polk, LA for AIT, then to Viet Nam?? Folks, this is another clipping that I found. 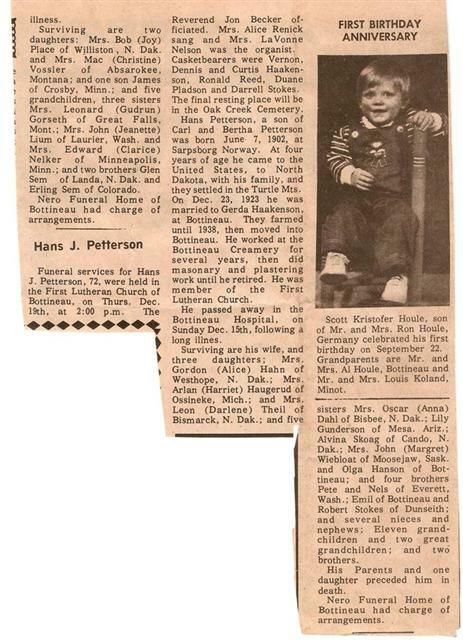 Hans died in December 1974, so that has to be when Scott had his first birthday. Scott is the son of Ron Houle (71). Ron, where is Scott living now? Being in Germany at the time, I’m assuming you must have been stationed in the army over there?